I can’t believe another summer has gone and we are in the last 3 months of this year. 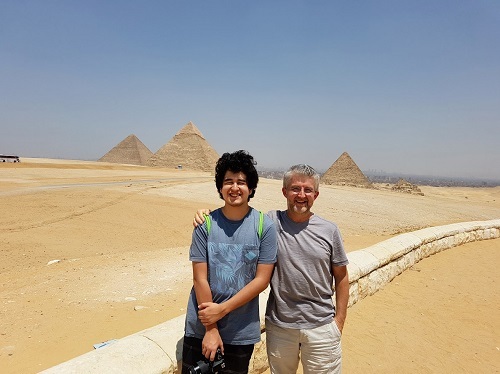 Isaac and I returned from our two and a half months trip around the world 3 weeks ago and are still talking about the wonderful experiences we had but also really missing some of the places we’ve been to. We spend one month in Europe and one month on the African continent (Egypt, Mauritius & South Africa). While we loved all of them and would go back to in a heart beat, there was one city which captured our hearts – CAPE TOWN. I’ve been to many beautiful cities around the world but there are few with so much natural beauty, culture and spirit. 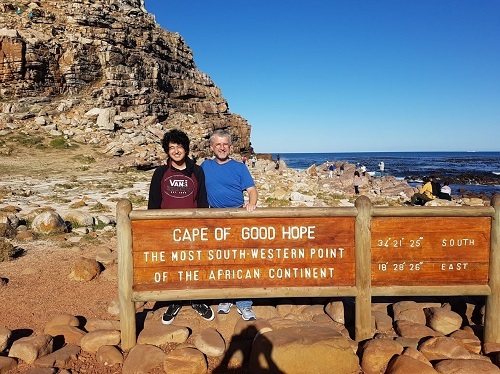 We decided to spend a whole week here rather than just the usual 2 – 3 days travelers choose to see Cape Town and I am so glad we did, in fact, I would have loved to have another week or two. 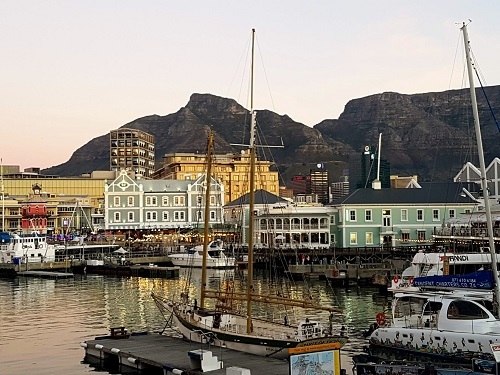 If you are looking to visit a destination which is not on the usual list of travelers but is just as if not more breathtaking than major metropolises like Paris, Rome or Istanbul, Cape Town is the place to go, I promise you won’t regret it. We have a wonderful guide here and customize all itineraries for our clients which include transfers, experiences and accommodations at some of the most beautiful properties in town. A trip by cable car up Table Mountain will present a spectacular aerial perspective of the city and I recommend to take the first one up. Explore the mountain and descend again via cable car. The balance of the day to explore Cape Town City, voted as one of the most beautiful cities in the WORLD! You’ll visit the new and old city as you experience the various different cultures and architectural designs associated with this historical city. 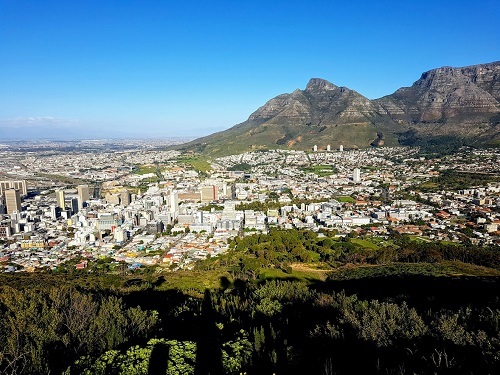 In the city we will uncover the history of European settlement in South Africa – founded in 1652, this city has an interesting history which includes indigenous, Dutch and British settlement. 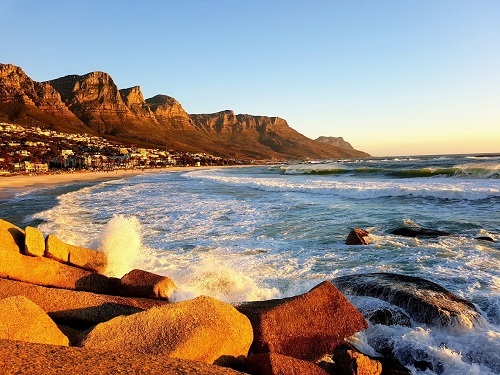 Situated at the steep slopes of Table Mountain, Devil’s Peak, Lion’s Head and Signal Hill, Cape Town City is sure to excite your senses. Today you’ll experience some of the most spectacular views in the world. There are plenty of interesting things to see and do along the route and your private Cape Town Tour Guide will explain the options to you. 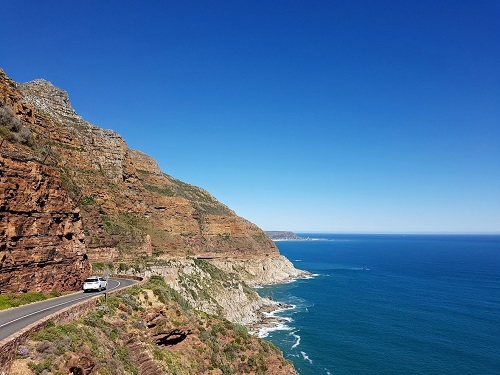 Typically I like to include activities such as travelling along Chapman’s Peak Drive, one of the Country’s most famous scenic drives, viewing ostriches, taking a walk through the Cape of Good Hope Nature Reserve, viewing the historical lighthouses and of course the main stop of the day is the view site at Cape Point itself. This is an incredibly beautiful mass of land that dramatically juts out into the ocean and it is quite an experience to stand up on the cliffs with the wind in your hair, ocean all around you and steep cliff faces below, one of Isaac’s and mine favorite moments. You cannot help but imagine and relive the lives of the Portuguese sailors who would travel for months in their attempts to round the Cape and sail to India in the 15th Century. 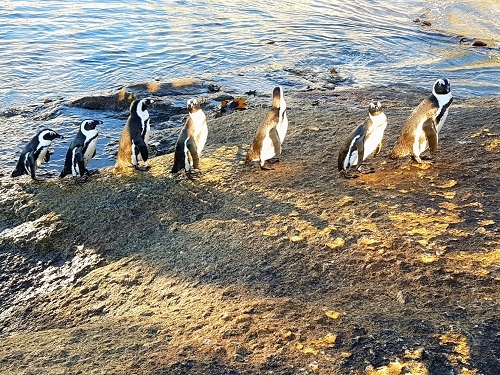 From Cape Point you’ll make your way back along the False Bay to Simon’s Town to view the African Penguins, you will get right up close to these adorable creatures that populate the beach in their hundreds. Boulders Beach has become world renowned for its penguin colony and should not be missed! After breaking for lunch (your guide will book you into a suitable restaurant) you then travel back to Cape Town via Fishhoek and Muizenberg. 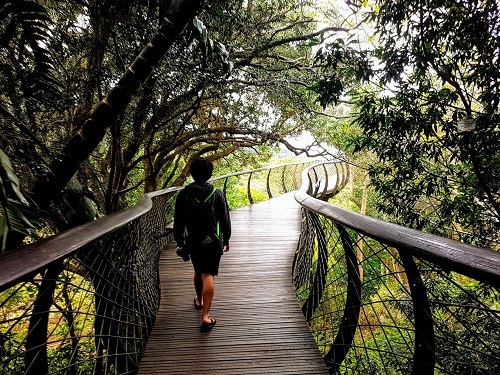 You will also visit the world renowned Kirstenbosch Botanical Gardens which have been described as the most beautiful Gardens in Africa! (Cape of Good Hope 45 min hike recommended for those that enjoy walking). 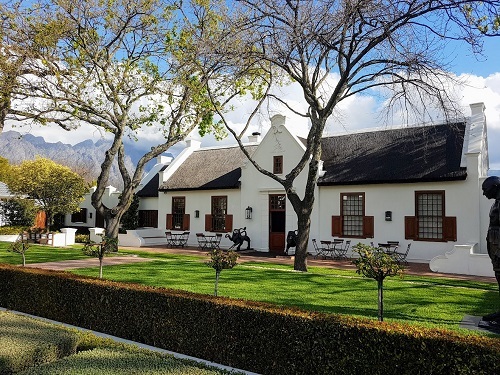 Just a short drive from Cape Town and we find ourselves amongst hundreds of wineries, tall mountains and beautifully preserved Cape Dutch Architecture, welcome to the Cape Winelands. This region is the heart of the South African wine producing industry and our high quality wines consistently fetch top international awards. Today you will get swept away by the romantic beauty of the undulating vineyards and perfect blue skies. You’ll start off with a visit to the famous Stellenbosch region. Here we enjoy a wine tasting and cellar tour at one of the local estates. The Stellenbosch region produces 3% of the world’s wines and I believe some of the finest new world wines is produced here. The mountainous area provides a spectacular setting with some inspiring views to accompany your wine tasting. 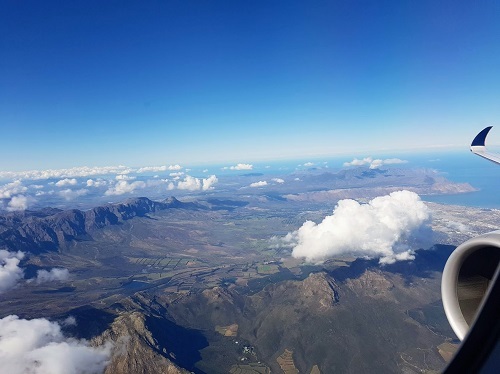 Your guide will tailor the tour to your particular interests; the tour typically however includes a visit to the historical and beautiful towns of Stellenbosch and Franschhoek where you will have an opportunity to have some lunch and more wine tasting! We make sure to take you to the crème de la crème of the top boutique wineries, avoiding the big bus commercial farms. Mountains, vineyards, great food and wine will make this day one you’ll remember for a very long time. 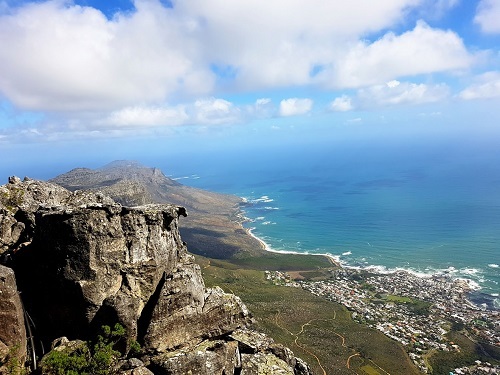 These are just some of the experiences which in my opinion are a ‘must do’ while in Cape Town but if you can do spend at least a couple of extra days to just stroll around the V&A Waterfront with its amazing views of Table Mountain and definitely spend an afternoon and evening in Camps Bay to watch one of the most memorable sunsets. If you love music, depending on when you are traveling, we might even be able for you to attend a concert by the Stellenbosch University Choir which was voted the best in the world for the past 5 years and with which I am completely in love. Other options are to drive along the famous and picturesque Garden Route and we can of course arrange for you to go on a Safari at the Krueger National Park, where we also customize the entire experience which includes your flight to Hoedspruit or Nelspruit (depending on the lodge), transfers and being cared for by our wonderful guides there. I hope these pictures and descriptions inspired you to visit this amazing country. Isaac and I have been so taken by South Africa and especially Cape Town, we were both quite sad to leave but we are planning to go back next summer. If you have any questions, would like more information or have a customized itinerary arranged just for you, please feel free to contact me anytime. Itineraries can be put together in different price ranges as well.